Does your dream car seem to be just that… a dream? Let Bakers Auto Sales help you get into the seat of that dream car. Our team of credit experts has helped many of our customers rebuild their credit and helped them reach their dreams and got them into their dream car. With a little effort and patience we can help you too. 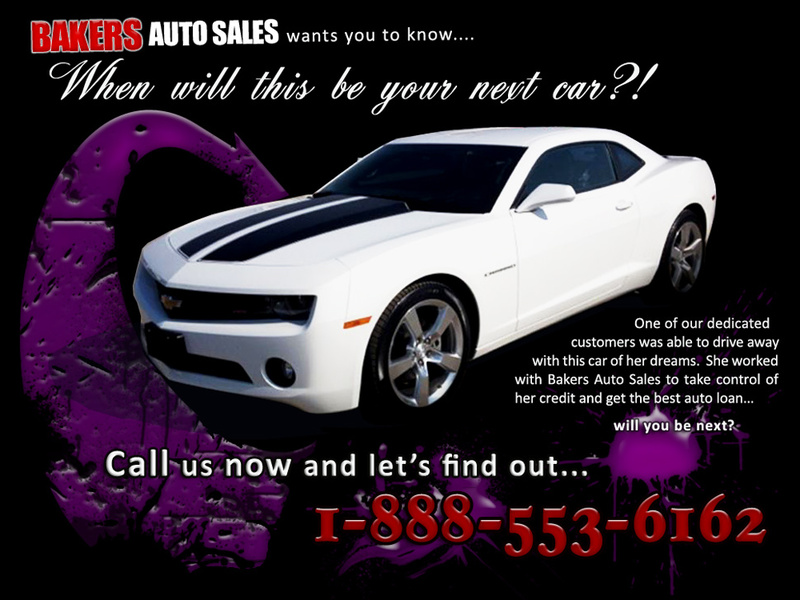 Contact Bakers Auto Sales today and let our team of professionals work with you to build or re-build your credit. Good credit, bad credit, or no credit we can help you into that car of your dreams. With a little work and a little time you can get your credit where it needs to be to get that perfect car or truck.